I have always been and remain a lover of grilled cheese. As a kid I was quite the connoisseur of grilled cheese offerings at the various restaurants we frequented, so much so I distinctly remember it coming up at a birthday dinner that perhaps I might try something aside from grilled cheese for the occasion. 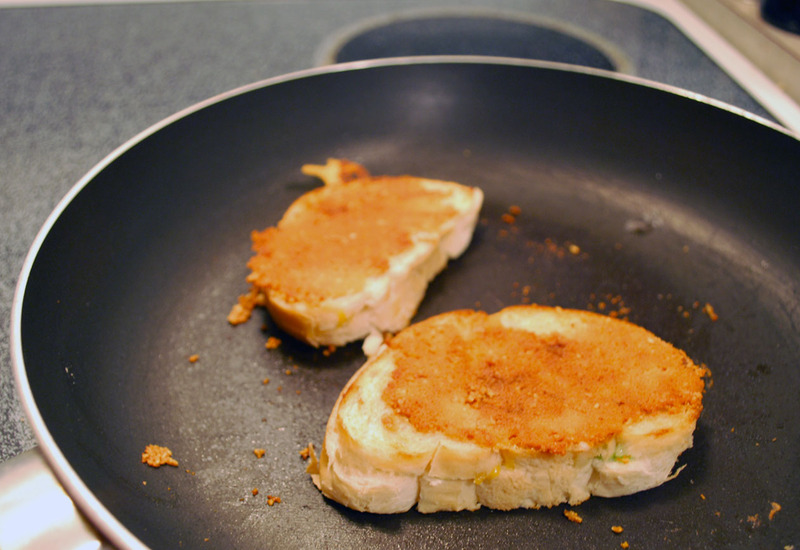 As an adult viewer of great Food Network programming like ‘Diners, Drive-Ins and Dives’, I was introduced to the idea that more could be added to a grilled cheese than just ham or bacon. Thus came the avocado (tomato is good too). I also became aware of the mixed cheese philosophy. 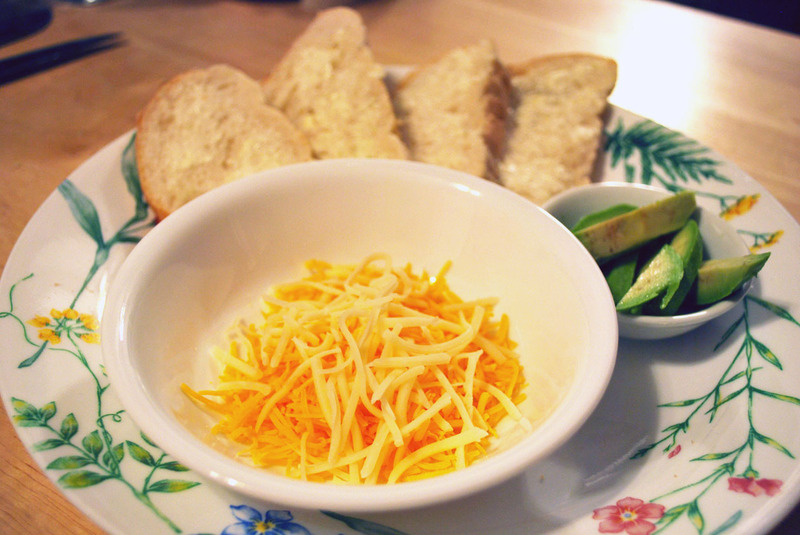 Sharp cheddar & swiss go well with the avocado. I enjoy using a monterey jack blend. Lest the pictures confuse, I used thinly sliced baguette french bread to make my sandwiches while photographing this recipe. Because I then ate them, I made two smaller sandwiches. It can be done with regular bread. I prefer the taste this way. Heat oil in pan. Once warm, add Parmesan cheese and cook until it begins to melt together. While it is heating, butter one side of each slice of bread. 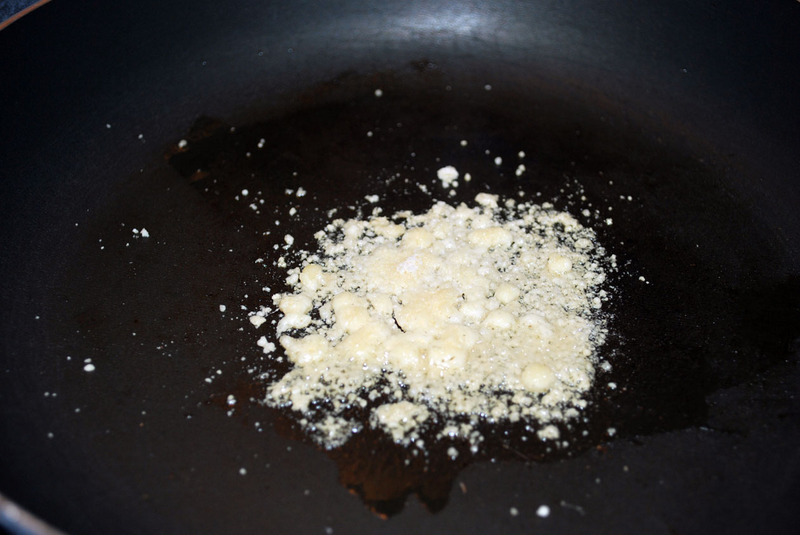 Press bread into the melting Parmesan. 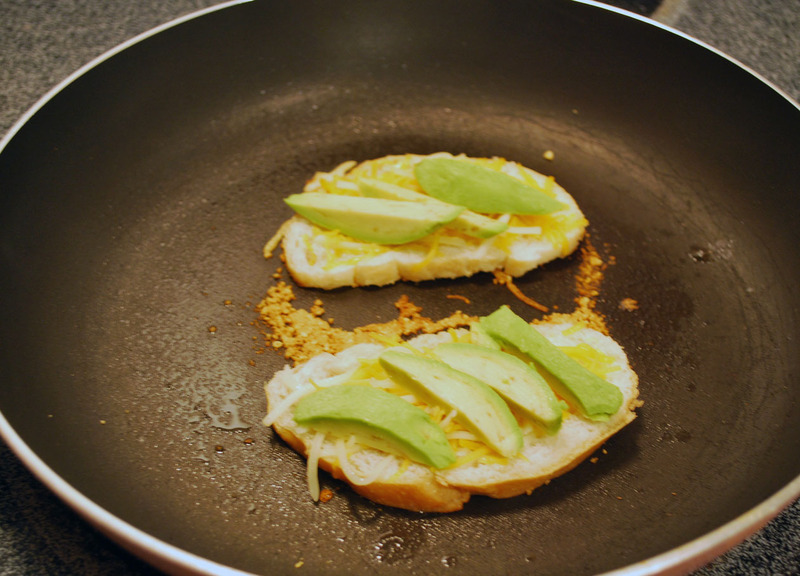 Layer on cheese & avocado then enclose with other slice of bread. Give your cheese a minute or so to melt then flip. The Parmesan should be nicely golden. If it’s too light you can always flip it back. Once nicely browned; remove from heat, slice and enjoy. 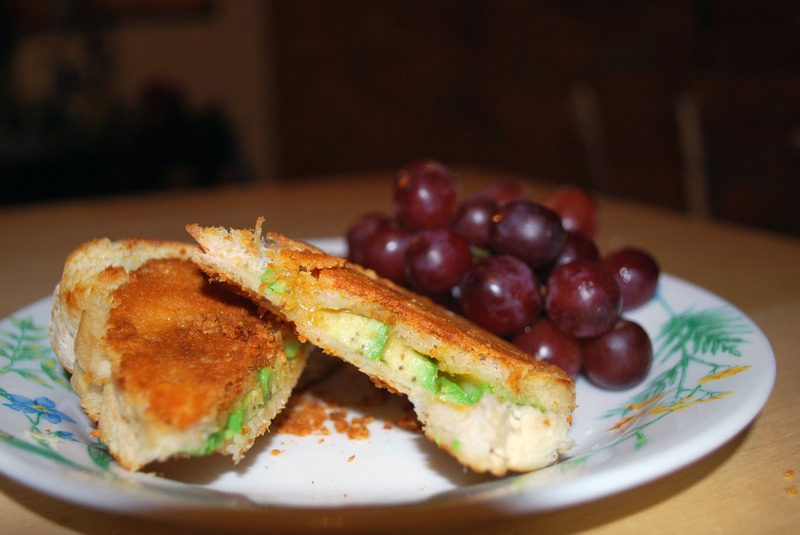 Thank you, Maggie, for sharing this recipe in her grilled cheese post on favedietsblog!